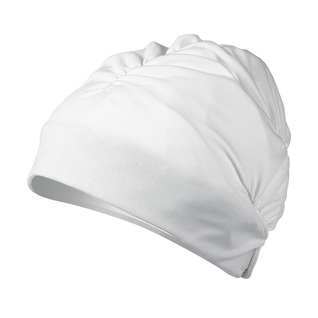 The Aqua Comfort cap is the perfect cap for casual aquatic activities. Designed for comfort, the Aqua Comfort is made of lightweight materials and has an adjustable headband for a perfect fit. The swim cap is cute on and work well with my long, curly hair. The adjustable tab in the back is a nice feature but could have been a little tighter for someone like me with a small head. It is hard to look cute when wearing a swim cap but this one looks cute. This swim cap is unique. I like the adjustability and the way it fits and looks. Hope to have it for a long time! Great product, just what I needed for water aerobics. My goal was to prevent water in the ear. This one does not work for that application. Beautiful cap otherwise, hair will get wet unless you are really water phobic. 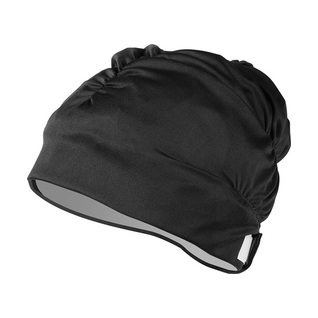 Great for people with big, long or thick hair, and those who do not like to get their hair squashed in a regular swim cap. Very flattering also!